It happened last year. And this year it's back, and with an extra preposition! Zwanze Day Day of Zwanze returns for the second time to the Jolly Pumpkin brewery in Dexter September 23. OK, fine. For fans of Belgian lambics, Brasserie Cantillon in Brussels is pretty much the top of the top shelf. 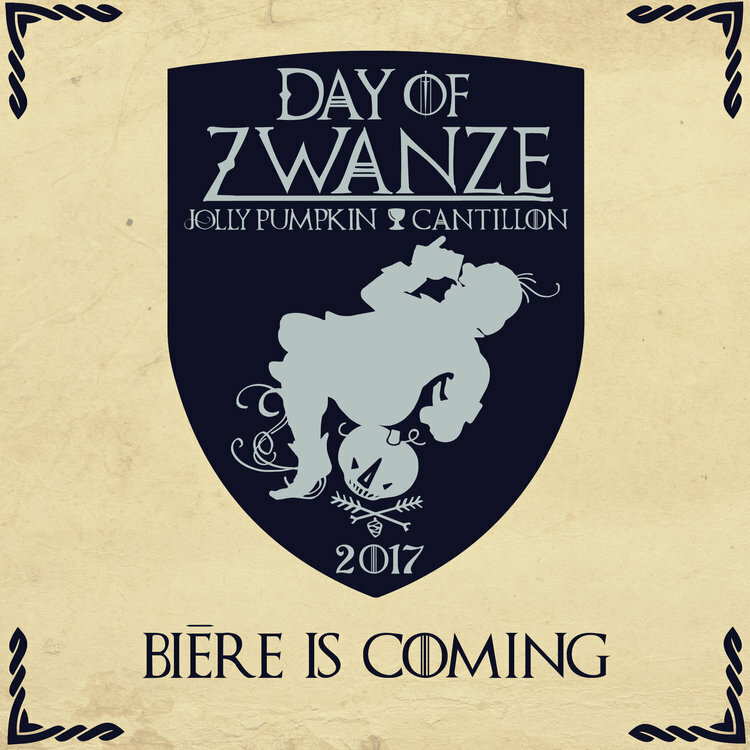 Every year since 2011, Cantillon has released its special limited-run "Zwanze" beer and selected only about 60 locations worldwide for a Zwanze Day Day of Zwanze tapping event. Jolly Pumpkin is one of only 28 places in the U.S. to host the event. Tickets go on sale Tuesday, September 5 at noon. They're $100 each (designated driver tickets are also available) and include a sampling glass and 20 drink tokens. Get more details on the event here, and buy tickets here (once they're on sale).